“Focused events like this can help the government agencies identify innovative approaches to modernize road and highway construction,? 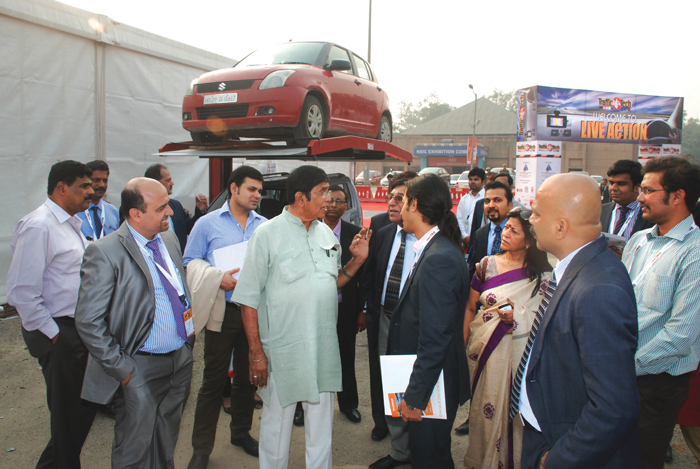 said Oscar Fernandes, Union Minister for Road Transport and Highways who visited the third edition of Trafficinfratech. 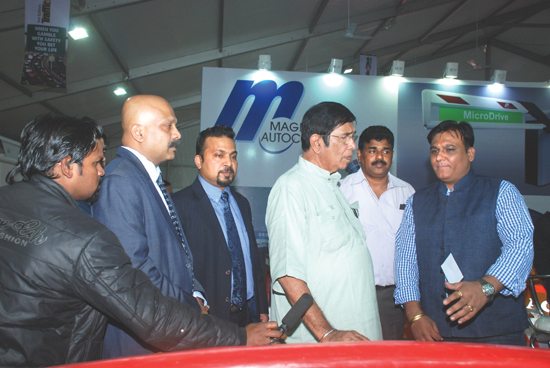 The Minister spent a sizable amount of time at the show visiting every stall and understanding the new technologies and solutions. 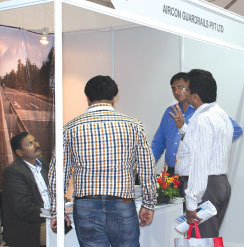 TrafficInfraTech Expo 2013 (November 21-23, New Delhi) lived up to its brand name by attracting the who?s who of the traffic industry – national highway concessionaires, system integrators, road infrastructure companies, traffic consultants & firms, OEM suppliers, architects and companies looking for joint ventures & partners. 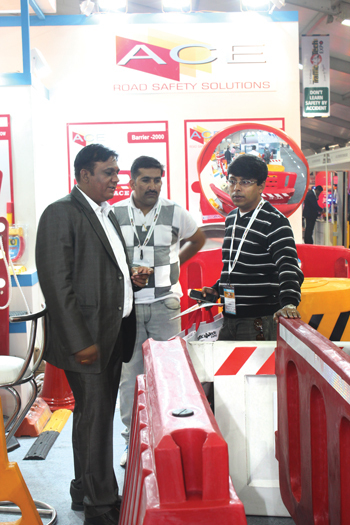 Decision makers from the Ministry of Road Transport & Highways, Ministry of Urban Development, Traffic Police, Transport Authorities, Municipal Corporations and Metro Rail Corporations were all there to take part in the third edition of India?s largest international and most happening trade show on traffic held at the NSIC exhibition complex in Okhla. Many system providers who missed out on participating at this edition of the Show indicated that they would be participating in the next edition. 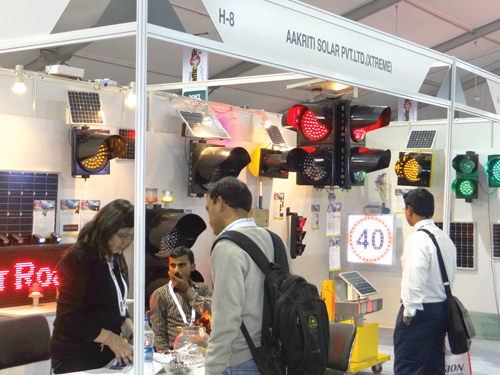 In fact, about 40% of the stalls have already been booked for the fourth edition which is scheduled to be held from January 15-17, 2015 in New Delhi. 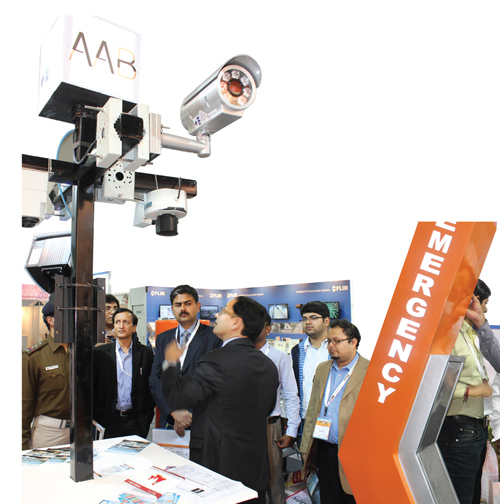 Over 80 exhibitors from all the verticals of the traffic industry played host to the visitors, displaying the latest products and systems in intelligent transportation systems, traffic data collections systems, vehicle tracking & monitoring systems, display screens for public transport, road safety & security, public lighting, noise abatement systems, parking & guidance systems, access control, fare & toll systems, road marking systems and road infrastructure. The Show was supported by the Ministry of Road Transport and Highways (MoRTH), Central Institute of Road Research, Association of State Road Transport Undertakings and Asian Professional Security Association ? India Chapter. 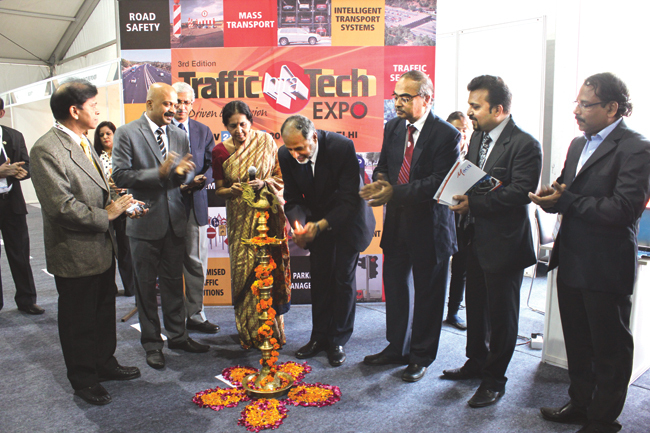 The Expo was inaugurated by Dr. Sudhir Krishna, Secretary, Union Ministry of Urban Development. D. Dipti Vilasa, Vice-Chairman, Delhi Development Authority, Dr. S. Gangopadhyay, Director, Central Road Research Institute and Munir Khan, Inspector General, Jammu and Kashmir were the guests of honour. We have latest technologies and adequate resourses to tackle the traaffic problems but what is lacking is an awareness about these. 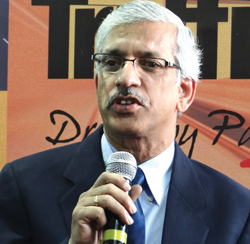 Dr Krishna congratulated the organisers of the Show: ?The Show will definitely increase awareness am ong the industry, especially among the infrastructure companies and regulatory authorities, about the latest, innovative solutions available in the country today for overcoming traffic problems and challenges. The good news is that the latest technologies as well as adequate resources are available to tackle the problems but what is lacking is an awareness about these technologies. 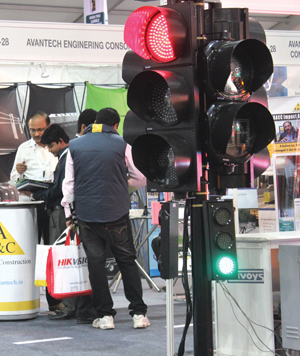 TrafficInfraTech Expo is uniquely positioned to serve this purpose, and has been doing so ever since the inception of the Show two years ago. I saw over 80 stalls and each of them displayed innovative products and solutions for traffic management and city transport solutions. ?The various technology providers present here should partner with domestic institutions to provide not only the equipment but also the expertise to operate the equipment effectively and usefully. I am suggesting two kinds of partnerships here. The first one is with technology vendors so that the technology is grounded in Indian conditions and the cost comes down. The second is a partnership with users like transportation and traffic departments in the states, transport corporations and municipalities. In fact, a third type of partnership ? with research and academic institutions, would also be very desirable ? a tripartite collaboration. This would make the technology propagate faster and also make it much more cost effective and sustainable in all ways. ?The perception of a tec hnology being unviable is often due to a lack of clarity of its benefits. If the vendor is able to prove a favourable cost to benefit ratio, then the technology will be adopted much faster. For example with certain traffic monitoring and management technologies, the need for so many watch and ward personnel gets reduced and thus balances out the cost of the technology. This is another challenge for the vendors ? how to project the cost benefits of a technology.? 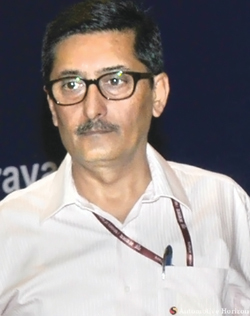 Vijay Chibber, Secretary, MoRTH, too extended his good wishes for the Show:?This edition of TrafficInfraTech Expo is very relevant in the present scenario. The inter-relationship between traffic management and the infrastructure technologies has touched new heights in the recent times and this needs to be understood in detail by planners, developers and also the state governments? traffic management force. The use of technology and Information Technology (IT) tools could open new vistas for much more efficient traffic management.? Dipti Vilasa stated: ?This expo is a significant effort to bring all new technologies under one roof which can be put to use to solve the problems of urban and highway transportation. I am impressed by the quality and range of products displayed at the Show. I am sure users of technologies will come forward in large numbers to take advantage of them. For example, we have some Intelligent Transportation System applications in the country which have the basic traffic modules, but that is not good enough. We need to upgrade our systems and absorb these technologies displayed here. It is a good forum for the technology vendors, users and absorbers ? 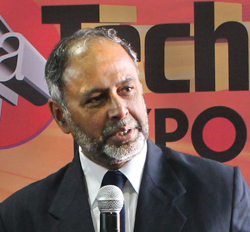 the companies who can indigenise the technologies. In order to increase awareness of the Show, educational institutions and industry bodies such as FICCI and ASSOCHAM should also be made aware of the Show. ?